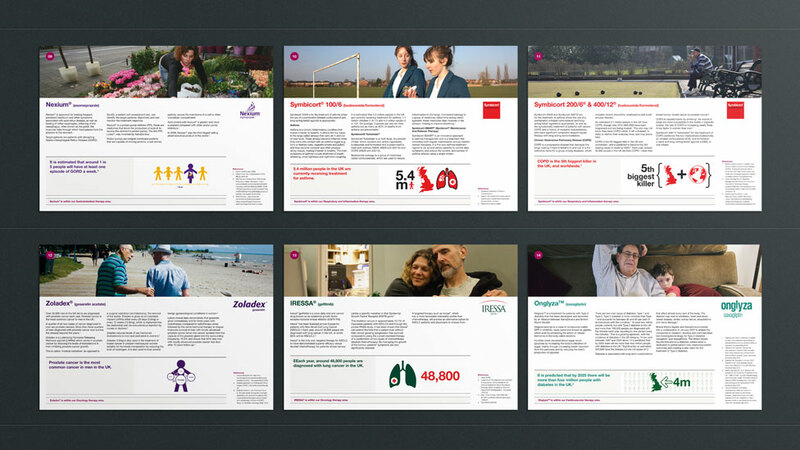 We developed a PDF presentation design that provides essential information about AstraZeneca’s key medicines, how they contribute to their success, and work to combat a variety of diseases and help patients around the world. BrandWISE is a global campaign to help AstraZeneca staff better understand the company’s key medicines. AstraZeneca supports the discovery, development, manufacture and distribution of medicines to patients around the world. This pdf presentation provides essential information about the company’s key medicines, how they contribute to the success of the company, and how they work to combat a variety of diseases and help patients that are unwell and suffering. Having been a valued supplier for a number of years we were asked to produce a presentation design style. With hundreds of individual projects under our belt for the company, our design team are well accustomed with their distinctive brand style. The majority of the content for the presentation was text based so a structured approach to the typography design was adopted throughout and a series of infographics developed. Information design is a unique skill, and creating the right balance is key to communicating important information whilst engaging with the reader. To this end our designers created specific visual icons to represent crucial facts about each product and its related disease. The pdf presentation design is completed by a range of bespoke lifestyle imagery chosen to reflect the subject matter of the page. “It’s a real pleasure to work with Parker Design. Nothing is too much trouble and ‘going the extra mile’ is part of the service. 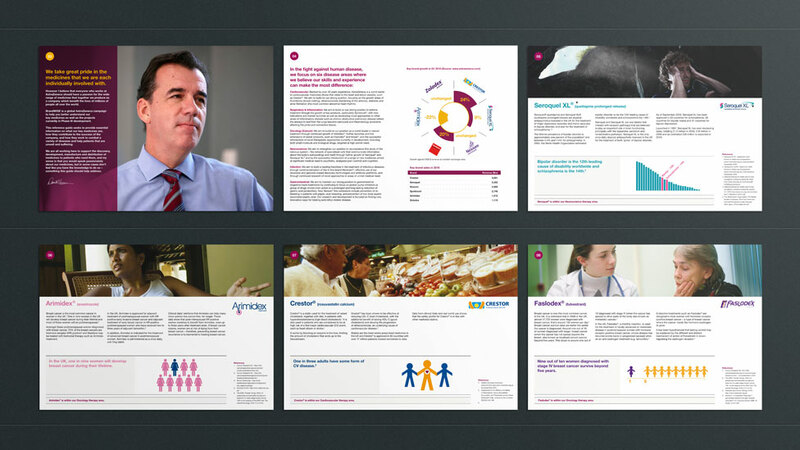 AstraZeneca required an interactive PDF to provide essential information on their key medicines. As the interactive PDF would be updated quarterly and the availability information for each medicine relates to 196 countries, we worked smart.